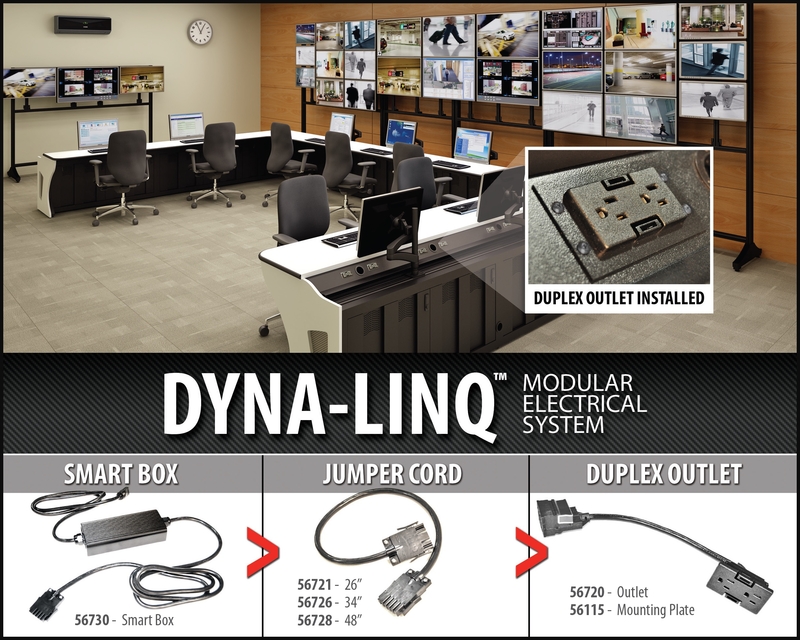 Winsted Corporation, supplier of control room console solutions, has announced the availability of the company’s new Dyna-Linq Modular Electrical System. Specifically designed for Winsted’s Sight-Line and Insight console systems, Dyna-Linq is a flexible electrical system that provides simple plug-and-play operations. The system is approved by UL Standard 962 and provides a modular, expandable and reconfigurable electrical system that can simply be plugged into a standard electrical outlet. The system does not require an electrician to install. – Mount the duplex outlets in the desired locations on the console. – Connect the jumper Cords to the duplex outlets and link together. – Connect the Smart Box anywhere in the run of outlets. – Plug the Smart Box into any standard wall outlet. For customers who purchase a Dyna-Linq system with a console, Winsted will install the system for free prior to shipping.